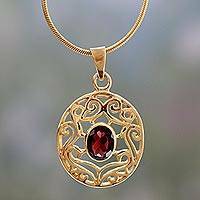 Welcome to Novica's Garnet Jewelry homepage, featuring an extraordinary collection of garnet necklaces and styles. 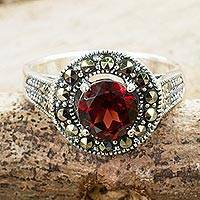 The birthstone of January, garnets are believed to have properties that provide stability, grounding and courage. 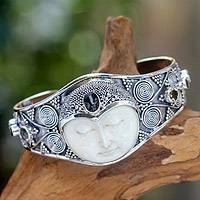 Some cultures also associate garnet to sexuality, bounty and fertility. 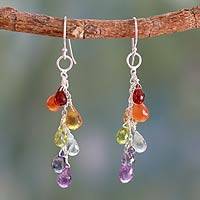 Novica's garnet jewelry collection is as versatile as the many myths that surround it. According to Greek myth, Hades gave Persephone a pomegranate when he released her from the underworld, knowing the fruit's sweet taste would bring her back. And so she did. 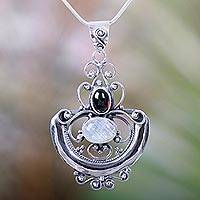 Since garnet is so like pomegranate's seeds (hence it's name), the gem became related to this story as a symbol of love's attraction, a quick return, or for estranged love. 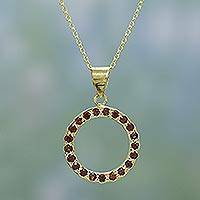 Garnet necklaces with heart-shaped pendants make for the ideal gifts of love. 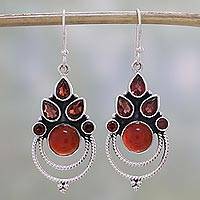 In the Americas, ancient civilizations used garnets to enhance the power of fire, as well as to heal and enlighten. Original garnet bracelets from Mexico, garnet rings from Brazil, and garnet earrings from Peru celebrate their historic customs. Many faiths make reference to this beautiful stone; Christians regard it as a symbol of Christ's sacrifice, especially in crosses on necklaces or chokers. Indonesian designers are experts in creating original garnet pendants shaped like dragonflies, owls, cats and peacocks. Garnet is the birthstone of January and the Capricorn born, who will certainly admire the jewelry of India and Thailand, where the gem is mined. 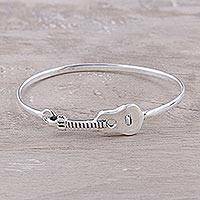 Designs range from the classic and traditional, to the bold and trendy.